“The truth about kids’ music is that whenever a child is listening, a grownup is almost always there listening with them. 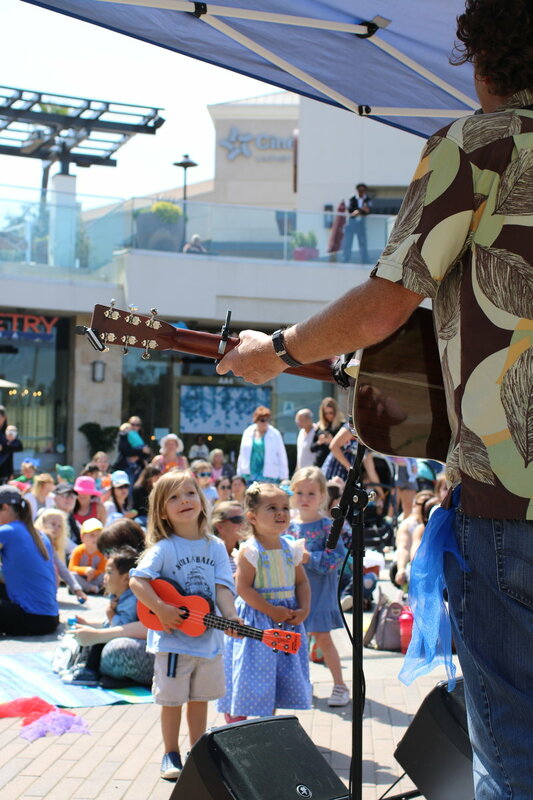 We want to make it fun for the whole family, so we write and perform with that in mind,” says Del Mar musician Steve Denyes, of the band Hullaballoo. 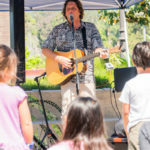 Steve has been playing music for kids and families for more than 14 years. 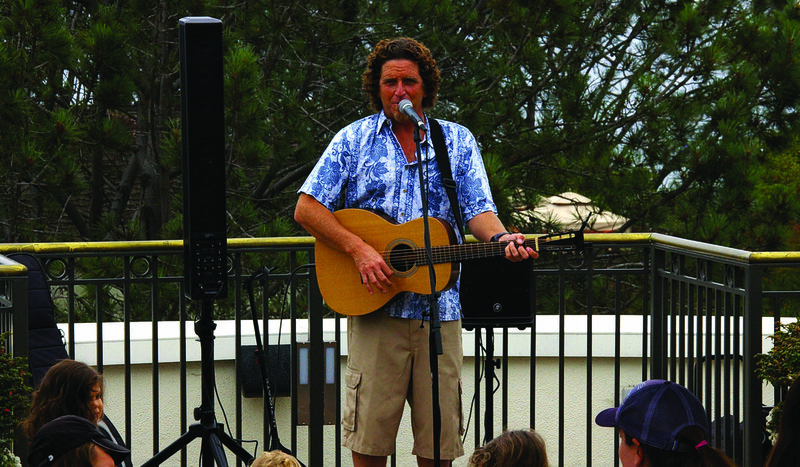 Before Hullabaloo, he taught kindergarten through sixth-grade music in the Del Mar school system. 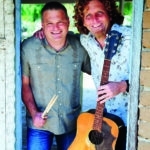 During that time, Steve made an album of classic kids’ songs; he gave a copy to his friend Brendan Kremer (now Hullaballoo’s drummer), who played the album at his twin daughters’ first birthday party. 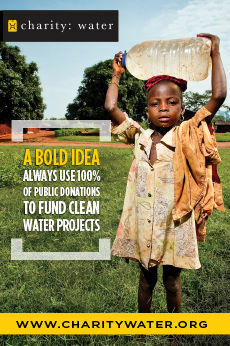 From there, word began to spread. Now Hullaballoo’s going strong, with more than 3,000 shows under its belt. 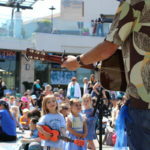 The band plays everywhere from tiny backyard parties to concert halls and festivals, with most of their shows taking place in schools and libraries or during community celebrations. 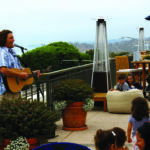 Last year, Hullaballoo had a standing date with its fans at the Del Mar Plaza on the third Wednesday of each month. “It’s been a lot of fun watching that gathering grow. 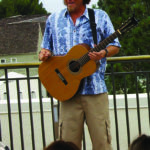 I love singing with and for my neighbors,” Steve says. “When Brendan and I started to play around town and share our CDs with friends, it became clear really quickly that there was a demand for it. Parents were looking for fun things to do with their kids and, at that time, there weren’t many good music options,” Steve says. 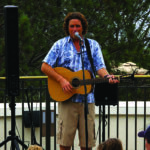 Hullaballoo’s music is described as free-range, organic kid-folk. 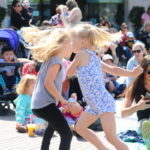 It’s a blend of traditional folk music and a good rocking beat that gets kids—and grownups—dancing. Hullabaloo’s song topics seem to be plucked straight from kids minds. So you’ll find songs about jumping up and down like a rabbit, and then songs about something more profound like love. “I’ve loved music since I was little. 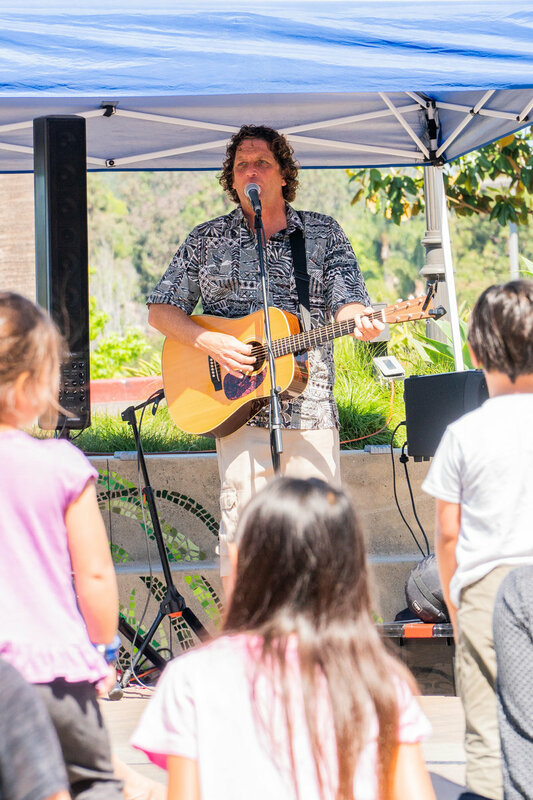 Some of my earliest memories are of my family all singing along in our family van on vacation,” says Steve, whose musical childhood also included learning a number of instruments: the trombone in fifth grade, the saxophone in high school and then the guitar. “I’ve been at it ever since,” says the born-and-raised Del Martian. 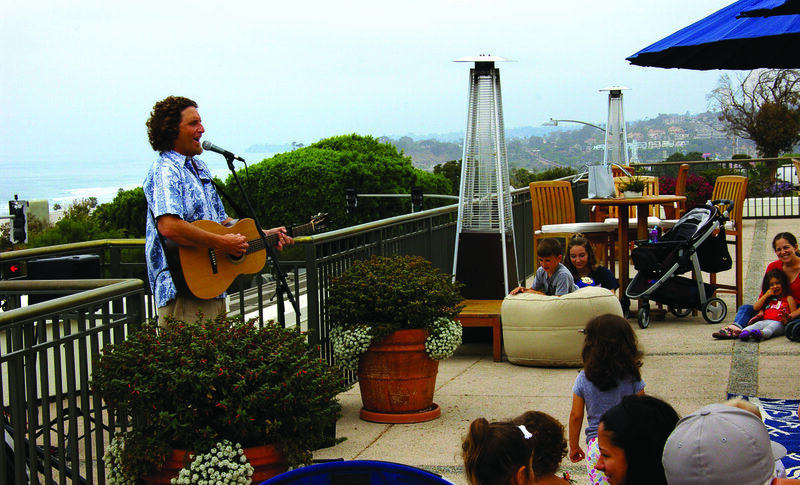 Travel and college meant brief absences from his hometown, but neither lasted long for Steve, who loves both the Del Mar of his past and the place it has become. Earlier this year, Steve created his very own event: 20 songs in 20 days. He set a goal of writing and recording a song a day for 20 days. 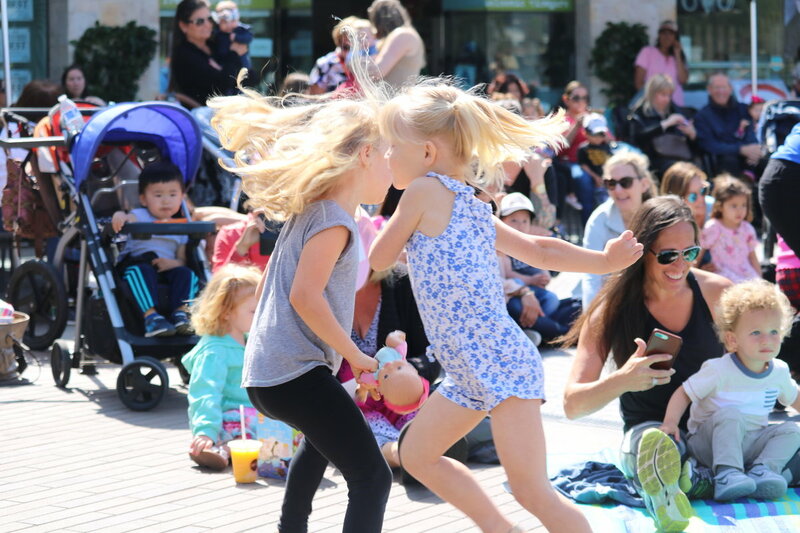 The project developed into a fundraiser for Happy Star Melodies, an Encinitas-based nonprofit that brings musical experiences and instruments to children facing long hospital stays. 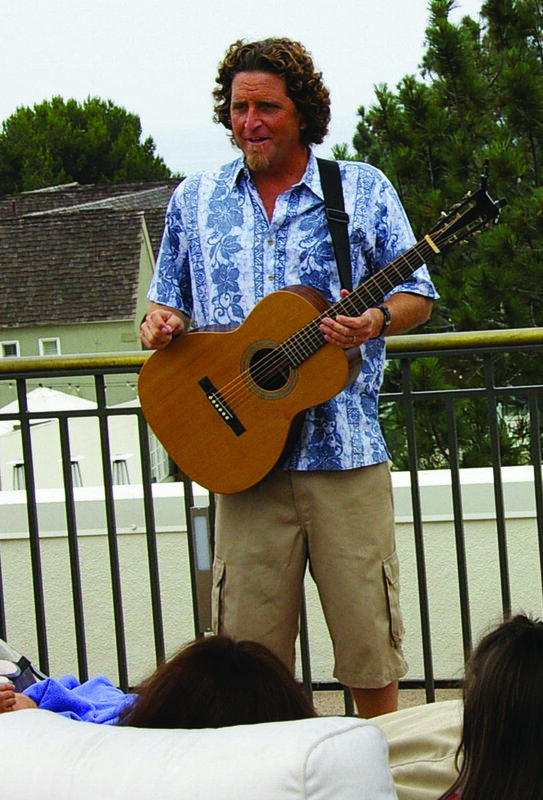 Steve accomplished his goal then released the songs on an album entitled 20 Songs in 20 Days, available on his website. While the project was an impressive undertaking, don’t expect Steve to become a studio-only artist any time soon. The guy loves singing live. “There’s nothing better than watching kids and parents just lose themselves in the music and the joy of being together. I get to see that virtually every day!” he says. 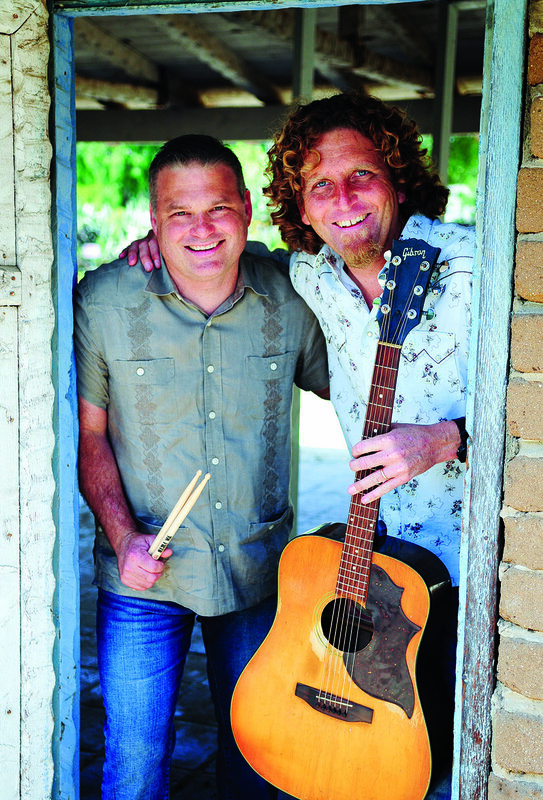 Find Hullabaloo’s music on Spotify, Apple Music and Pandora streaming services or purchase a CD at Store.CDBaby.com/Artist/Hullabaloo. 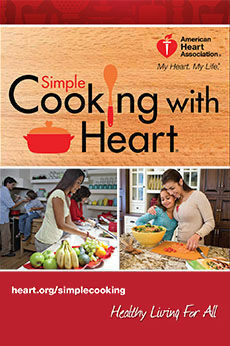 Wednesday, Aug. 8, 10 a.m.
Wednesday, Aug. 15, 11 a.m.
Wednesday, Aug. 22, 10 a.m.